Portal 2 is the ingeniously devised sequel to the original Portal, an all-time classic which garnered a huge fanbase. It transformed the 1st-person puzzle platformer genre by coining the motto “to think with portals”. Portal 2 takes you through unexplored parts of the Aperture Science Labs as Chell, after being in suspension for 9999 hours. Steam holiday sales are happening next week. This year, they are breaking from the traditional daily and flash deals. So don’t miss the opportunity to find huge discounts on games. If you can’t afford new releases, waiting until the holidays will surely pay off. The Steam Halloween Sale of 2017 has some spooky discounts on horror games, in particular, horror virtual reality games and scary movies. There is plenty of Halloween spirit to go around. This event runs from October 26 to November 1. Many games are at least 60% off the original price. 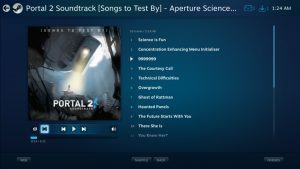 What is the Steam Music Player? I may no longer be new to Steam, but I still haven’t found a use for the Steam Music Player. It’s supposed to be a music library meant to store your video game soundtracks. The music files are stored as MP3 files. It shares many similarities with iTunes. You can listen to soundtracks from your favorite games. This may sound pointless, but it is a good way to listen to the OSTs without being under pressure from fighting a hard boss or trying to overcome a timed stage. If it is copyrighted, then it might not stay on YouTube. Buying soundtracks is the safe, legal option. 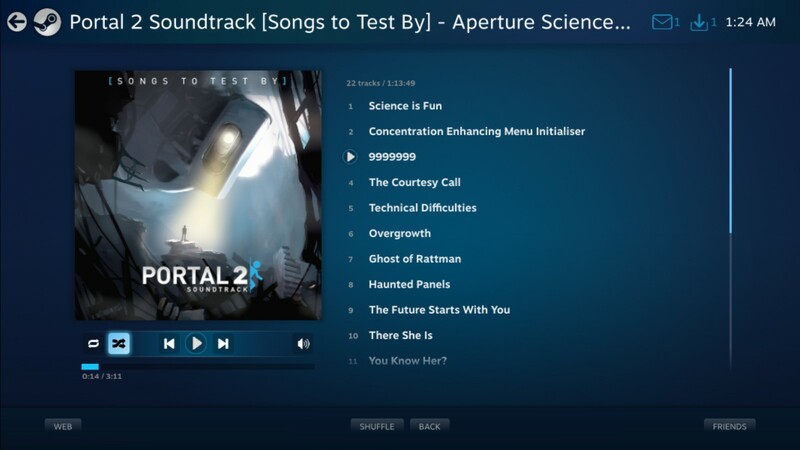 Continue reading What is the Steam Music Player? Posted on October 1, 2017 December 30, 2017 Categories Announcements, Discussions, Game Systems, Gaming on PC, General Info, MiscellaneousTags Play albums on Steam, Scan for downloaded music, Steam Music Player, Upload music onto Steam ClientLeave a comment on What is the Steam Music Player? Virtual Villagers 3-The Secret City is now available on Steam! An old-fashioned simulation game where you are God and it’s your job to raise a tribe of villagers by helping them survive on a seemingly deserted island. Embark on a new journey to the island’s northern shore, with a small group in search of new areas to populate. Yes…this was a long time coming. I finished Hatoful Boyfriend awhile back but it truly deserves a special spotlight for its sheer absurdity. Hatoful Boyfriend, the now famous pigeon dating sim, is a favorite among the Let’s Play community. It is the touching story of a human girl enrolled in a school of prestigious pigeons.